Strong, light weight and easy to use. This tow rope is 1 inch diameter by 20 feet long. Rope has loop on each end, no hooks. Includes mesh storage bag. Made in U.S.A.
Hercules Tow Ropes is a supplier of car, truck and vehicle top rope/tow straps. Find a tow rope/tow strap to keep on hand from an automotive emergency or for towing small to large vehicles like snowmobiles, trucks and small farm/construction equipment. 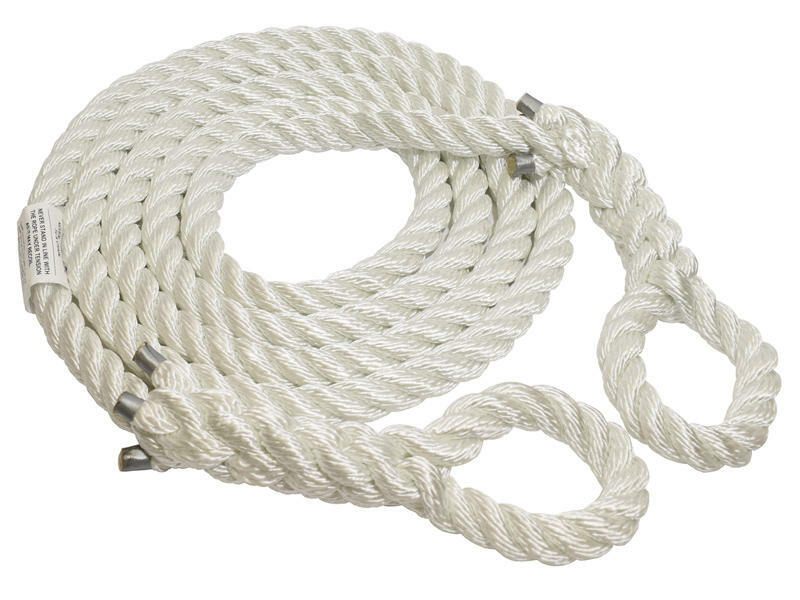 They also sell bulk ropes in all sizes: twisted nylon, solid braid nylon, twisted polypropylene, hollow braid polypropylene, manila, and double braid nylon.